This is a good question, of which the answer lies in a couple of other questions, listed below. The obvious answer is which ever method gets you the clearest audio. Because the main goal of a sound system is to reproduce the original sound in the best and clearest way possible. What device are you coming out of? And what device are you going into? What is the distance between the devices? Let's answer some of those questions and then go from there. Unbalanced audio is what will be found in the typical home stereo. The typical connector for unbalanced audio is either RCA, 1/4" TS (Tip, Sleeve), and 1/8" TS. Another variant connector is the stereo wired TRS (Tip, Ring, Sleeve) connectors, be sure to not confuse these with a Balanced Audio cable, as they look a lot alike. 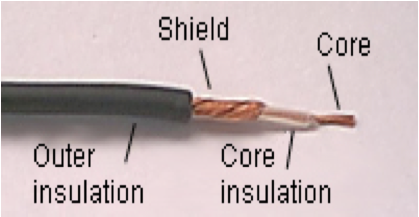 The Unbalanced cable uses a single center conductor, and the shield, for the audio signal to travel on. 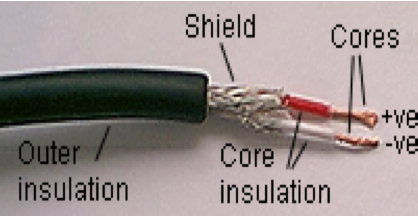 Audio travels on the shield of the cable, which means that any interference that the shield picks up, will be inserted on the audio signal. This could come across in any number of audible ways, from hums to radio stations. Balanced audio is a method of interconnecting audio equipment using impedance balanced lines. Balanced Audio uses a cable made up of two conductors that are twisted together and surrounded by an overall shield. The basic idea being that each conductor is connected to an impedance at each end of the line. The impedances are the same between both conductors, even if they are different at each end of the line. The audio on the two conductors is exactly the same, except that one of the conductors has the audio inverted at the source piece of equipment. The input of the destination equipment inverts the inverted audio and sums the two channels together. The shield of the cable is never part of the audio signal path and should be grounded directly to the frame of the audio equipment. The shield of the cable is the first line of defense, so to speak. The interference should be picked by the shield and then deposited to the electrical ground of the system, hopefully never becoming part of the audio signal. The twists in the audio cable help to defer electromagnetic signals. An electromagnetic interference signal is actually picked up equally by both conductors and actually travels to the destination piece of audio equipment. This is were we go back to High School Physics classes. The Interference produces an addition to the original signal, let's say a positive 4 on an imaginary graph, on both conductors. When the destination equipment then inverts one of the conductors, the interference is now a positive 4, on conductor #1 and a negative 4 on conductor #2. When these are summed together they come out to zero. There by removing the interference from the audio signal. This process is also referred to as common mode rejection. What devices are being connected? This is an important question, as this will affect the way the audio is connected. Within home stereo equipment, which in general is all unbalanced, it makes sense to use unbalanced cable through out the system. Using balanced cables within this scenario does not make a large amount of sense, since the transitions between the two types of audio will outweigh the benefits. Within concert or professional audio systems, were there are large lengths of cable, is were balanced audio makes the most sense. Of course there will always be times were the two types of audio will need to interface with each other. Probably the best way to transition between the two is with a transformer. (A DI Box is a perfect transformer.) Also, there are a number of ways to wire cable to interface between the two styles of audio transmission. See cable adapter wiring in particular half unbalanced cables. What is the distance between devices? Unbalanced audio should not be run more than about 10 feet. Balanced Audio can be run both short and long distances.